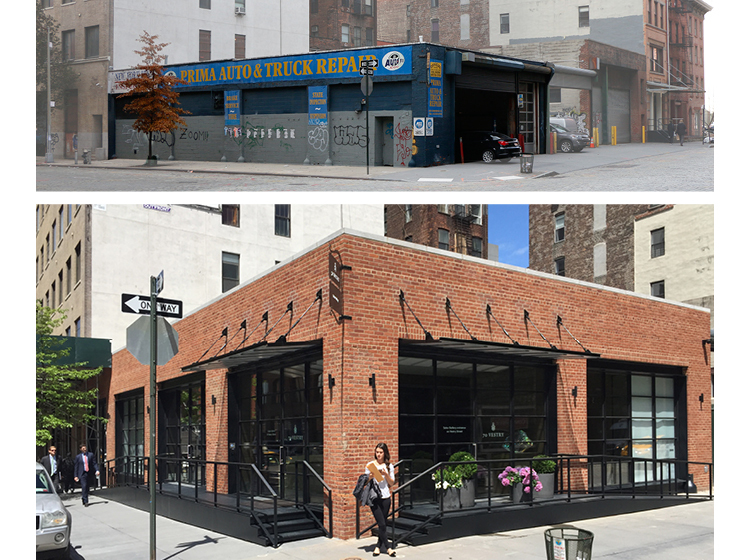 This one story brick structure located in Tribeca was built in 1925 as a storage and freight terminal, and was most recently used for an auto repair shop. The original industrial character is being maintained. The original masonry shell is being restored and the building will house a real estate showroom and sales office. 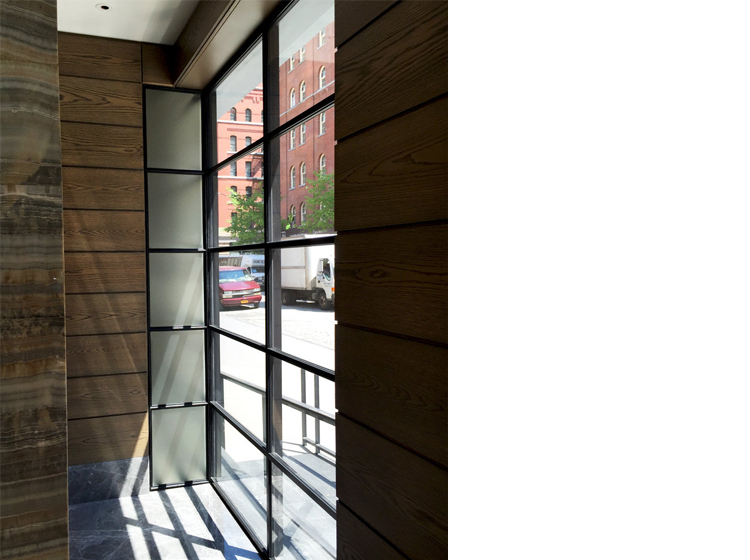 The new design includes large steel and glass storefront windows, a "contextual" loading dock to provide ADA accessibility and a new steel and glass canopy at the entrance.